We have three apple trees at the Smallest Smallholding – a pretty useless crab apple that only really serves as a good bird feeding spot, a Blenheim Orange that I presume is on some kind of dwarf rootstock, and a Charles Ross. 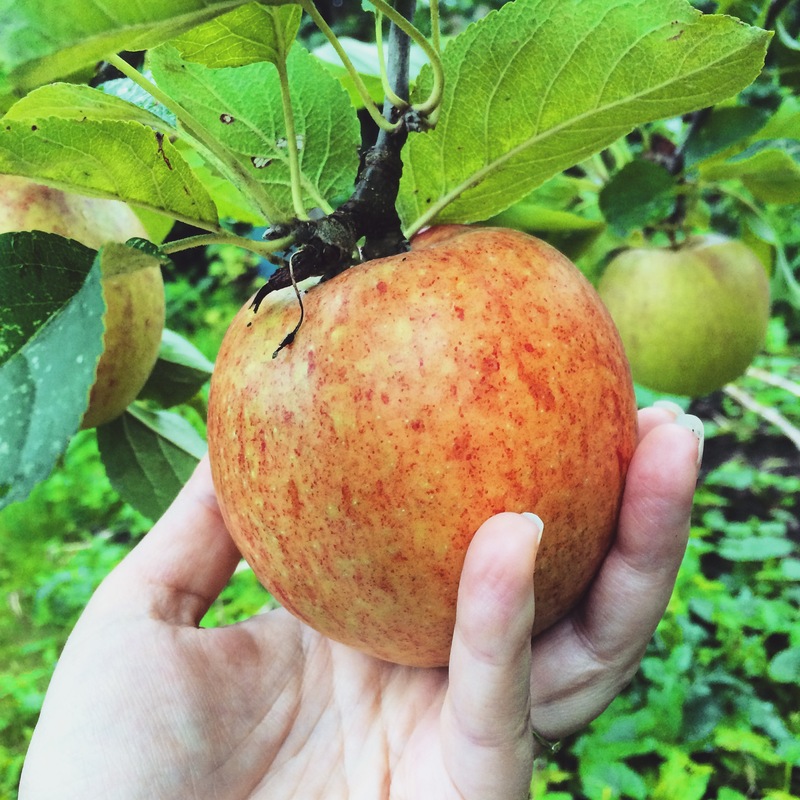 The two trees that provide edible apples are both relatively slow growing, and let’s just say our yields from both trees are very modest indeed. But right now I’ll take quality over quantity and the Charles Ross has grown some stonkers (as in, good stonkers) this season. I’m guessing the mix of downpours and late summer heatwaves gave us some ideal apple growing conditions. I also knocked off quite a few small fruits off each bough earlier in the season, so the remaining fruits have gleaned all the energy and grown to a good size. Though the Charles Ross could be classed as a dessert apple, I’m going to use both the tarter Blenheim Orange and Charles Ross as cookers. Simply because baked apples are one of my favourite comfort foods. I’m thinking given I have a baby in my arms for a good proportion of the day, I’m going to keep the baking simple.